Add a fun and festive cookie that will bring you the most frightful sweet flavors of winter with these Blizzard Cookies from C&H Sugar. Made out with brown sugar to add a tasteful bite. 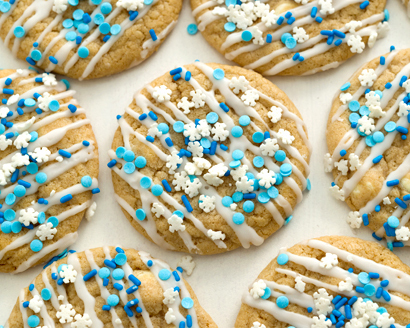 These cookies are also topped with snow sprinkles and drizzles with sugar glaze.